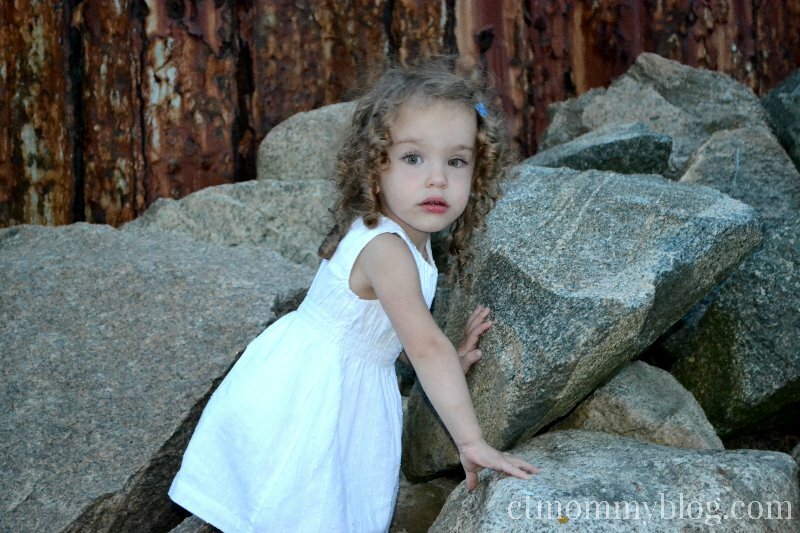 We just got back from a week in Dennis Port, Cape Cod. It was our first family vacation since our exhausting trip to Disney World last year, and our first time traveling with Andrew. I’m happy to report that we had a wonderful time and no one got sick! 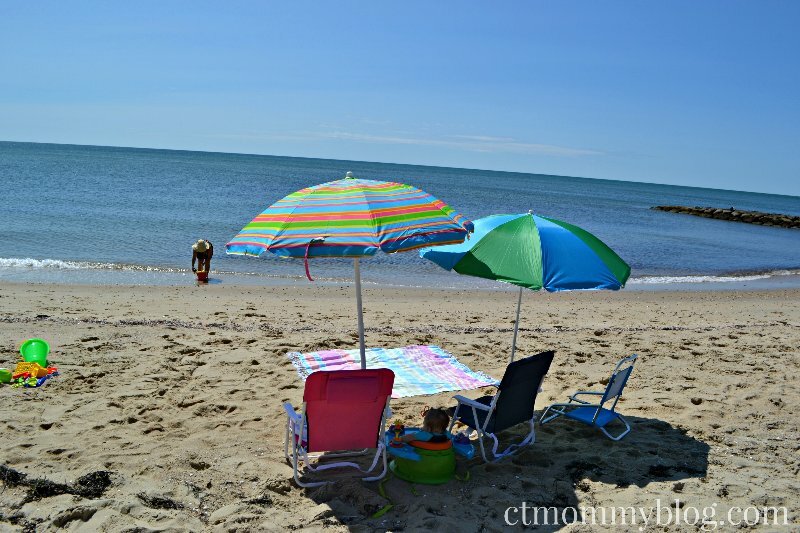 We chose Cape Cod because of its great beaches and proximity to Connecticut. Our GPS estimated that it was going to take 3.5 hrs from door to door but obviously that doesn’t take into account one nursing infant, two bored toddlers, or crazy vacation traffic. We were on the road by 7:30 am and had to make two stops to nurse and stretch our legs. The whole trip probably took around 5 hours. Thankfully everyone did pretty well considering how long the trip was. We rented a two bedroom condo that happened to be on a private beach. Having the beach only a few feet away was worth every penny when you have three kids under three. We went to Cape Cod with no real agenda. We did a few day trips (a later post). We decided that we were going to spend the majority of the time on the beach and then see what else there was to do. I wasn’t sure how the girls would do on the beach. They’ve been hot and cold with the water park at Lake Compounce so I was curious about their reaction to the ocean and sand, but thankfully they loved it. 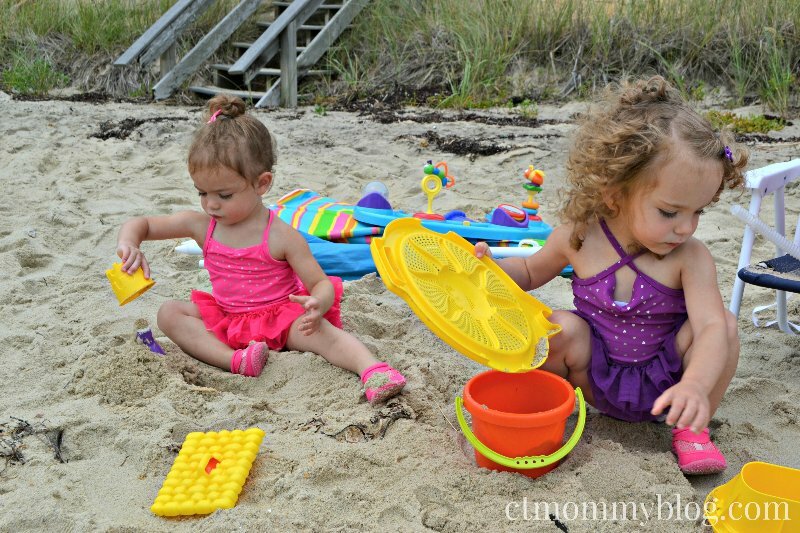 We did the usual beach activities with toddlers — make sandcastles, collect shells, hunt for treasure, watch the seagulls, get in trouble for throwing sand. The water was a little too cold for my liking so I usually stayed back on the sand with Andrew while Chris went in with the girls. Speaking of Andrew, he was a trooper on the beach. 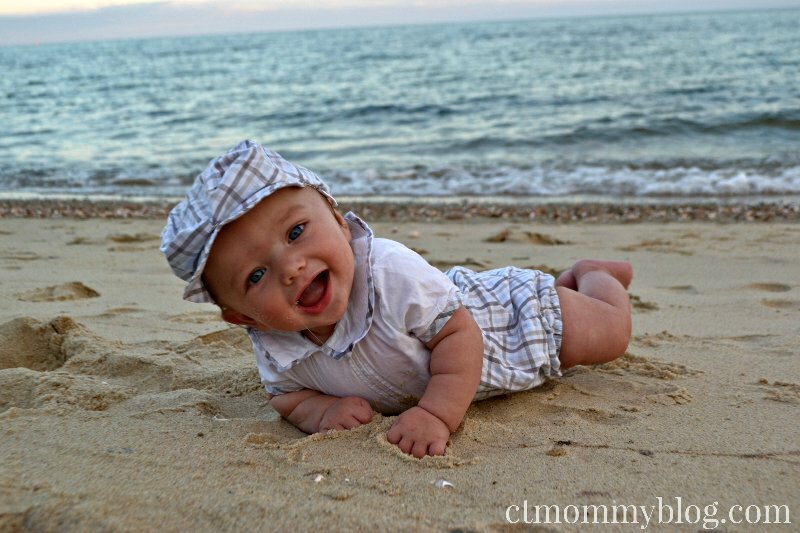 I made sure to keep his baby soft skin out of the sun as much as possible (except for a quick photoshoot). 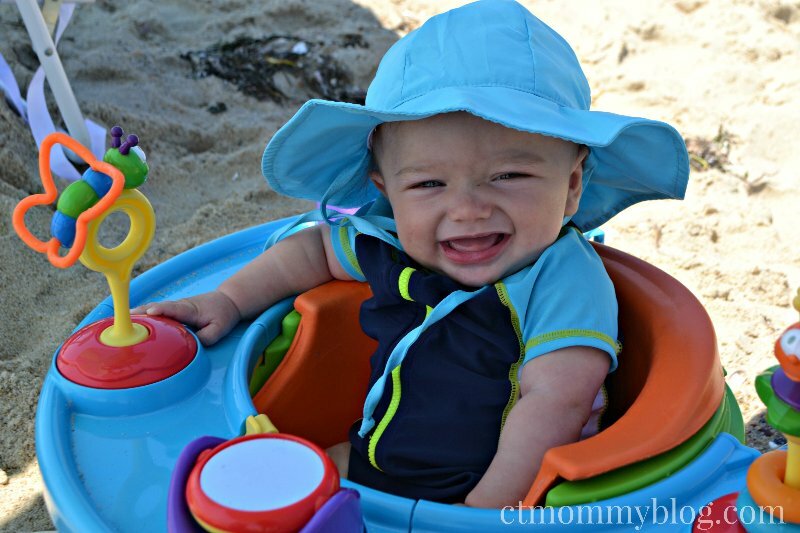 We brought along his Summer Infant activity chair every day and parked it under our umbrella. It was the perfect way to keep him safe and entertained without having to always hold him. We usually stayed on the beach until lunch and tried to stick to our nap time routine. We decided that taking 3 kids out to dinner sounded like more work than it was worth so most of the time we cooked dinner in the condo or got take-out. We had the best Thai food we’ve ever had. 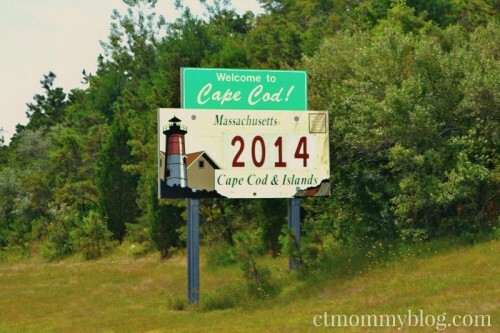 Who would have thought Cape Cod had great Thai! We quickly learned that ice cream is a pretty big deal in the Cape. There seems to be a different ice cream shop on every block, often paired with mini-golf. 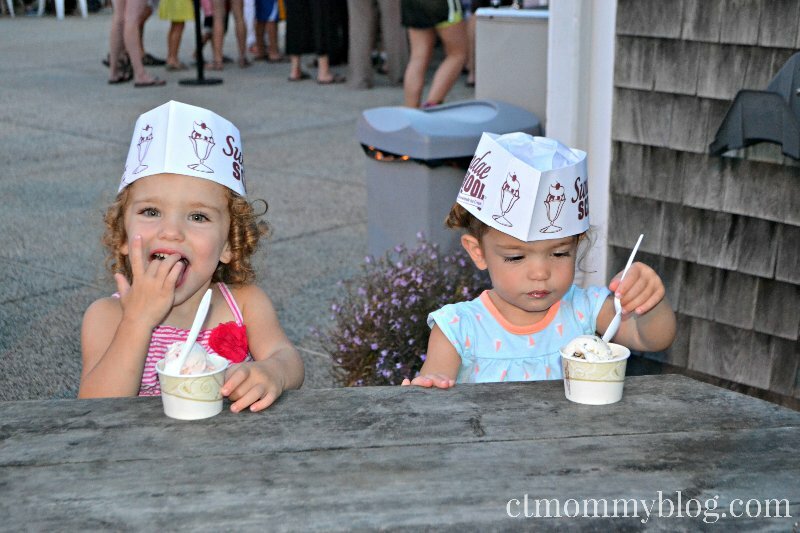 Our favorite spot was Sundae School. I had heard good things about it from a friend and it certainly did not disappoint. I’m pretty sure we had ice cream at least 3 nights during the week. Before our trip was done I was determined to take a few nice pictures on the beach around sunset. It’s nearly impossible to get a good picture of the three of them looking but I managed to get a few precious ones of them alone. 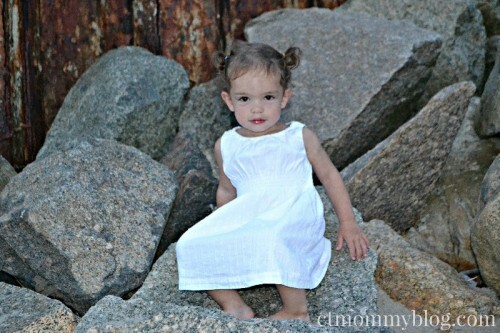 We had a great time in Cape Cod. It wasn’t the most relaxing vacation I’ve ever been on, but that’s to be expected with three kids. It was just a great family trip. I now understand the charm that the area has and why people return year after year. I can see us returning in the future to make further memories. Posted in Travel. 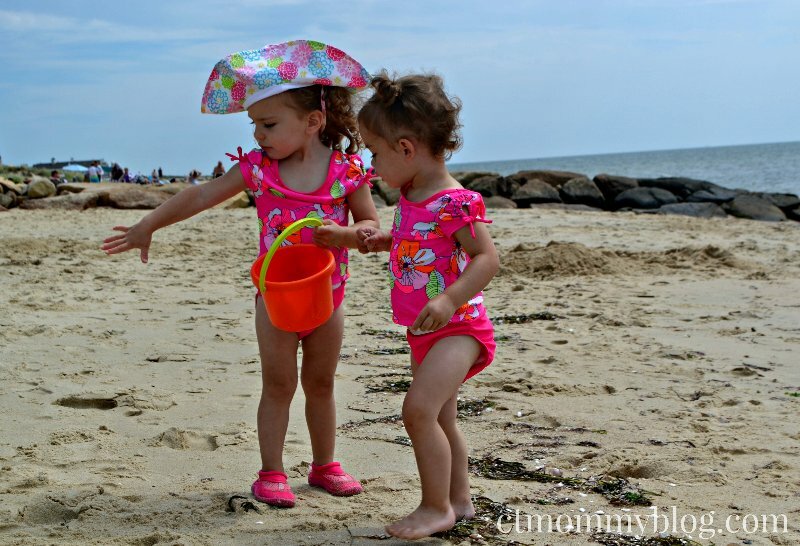 Tagged Beach, Cape Cod, Ice Cream, Road Trip, Sand, summer, Sundae School, Swimming, Travel, vacation. Disney Jr. Dance Party comes to CT! 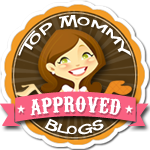 © 2013-2019 CTMommyBlog.com. All Rights Reserved. for sites to earn advertising fees by advertising and linking to Amazon.com. Web Design and Development by Chris Jason.